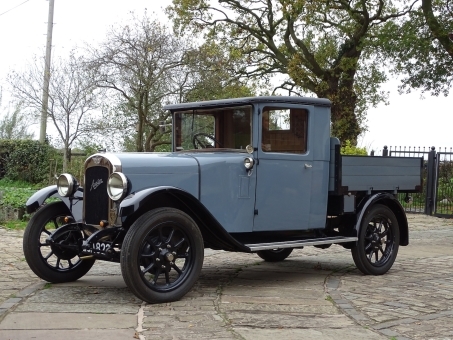 Though never officially built by Austin, this splendid truck was reputedly built in 1928 as works transport by the Austin factory say H&H Classics who are selling it at their next Buxton sale on 28 November. There is a picture of a similar vehicle from the late 1920s which would confirm this story as well as a letter from a former Austin apprentice who bought the vehicle from the factory for £5 in 1938 when Leonard Lord decided to disband the fleet of works vehicles. The truck was taken to Birstall near Leeds where it was used to carry groceries and light goods. Its next owner was James Clark and sons, undertakers and joiners in Skipton. The truck was reputedly built in 1928 and used as internal factory transport at Austin Longridge until 1938. 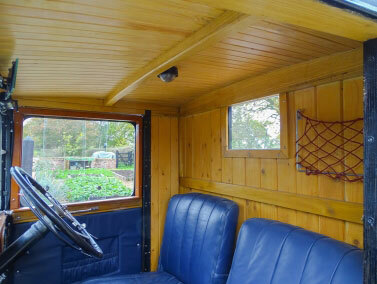 It has been fully restored and is described as in excellent overall condition. It has been in its current ownership since 1998.